Caring for your dogs teeth is one of the most important things you can do for your dogs long term health. Plaque and Tartar build up can cause a long list of health issues over time with your pet, and on top of that, their teeth look yellow and it causes bad breath. There are many ways to fight plaque and tartar, and today we are going to tell you about bluestem™ oral care! bluestem™ oral care is a scientifically formulated and clinically proven product that will help freshen your dogs breath and help fight plaque and tartar! This product is very easy to use! Just add 2 cap fulls to every 2.5 cups of water your put in your dogs water dish! 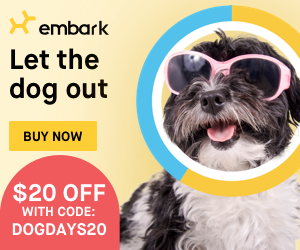 Now if your dogs are a bit picky when you add things to their water, you can start off slowly, and add less of the additive, and over a few days increase the amount until you have the equivalent of the 2 cap fulls for every 2.5 cups of water. Our own water dish holds 10 cups of water. So we have to add 8 cap fulls each time we fill their bowl. We also have three dogs in our house! bluestem™ oral care with coactiv+™ technology has been proven to reduce tartar by 23% when used daily as directed. Our dogs don't seem to mind the water additive at all. We were able to go full strength from day one and have been using the product for use over a month. So far I have definitely noticed fresher smelling breath! We still brush Memphis and Shelby's teeth on occasion (Oakley will not allow), and I think with the combination of both, it really is helping reduce the tartar and plaque buildup. bluestem™ oral care water additive is available in three formulations: unflavored, chicken flavored and vanilla mint. 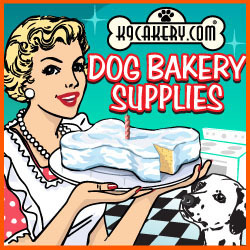 The unflavored and chicken formulas are safe for both dogs and cats while the vanilla mint flavor should only be used with dogs, never cats. Our dogs seemed to enjoy all the flavors! 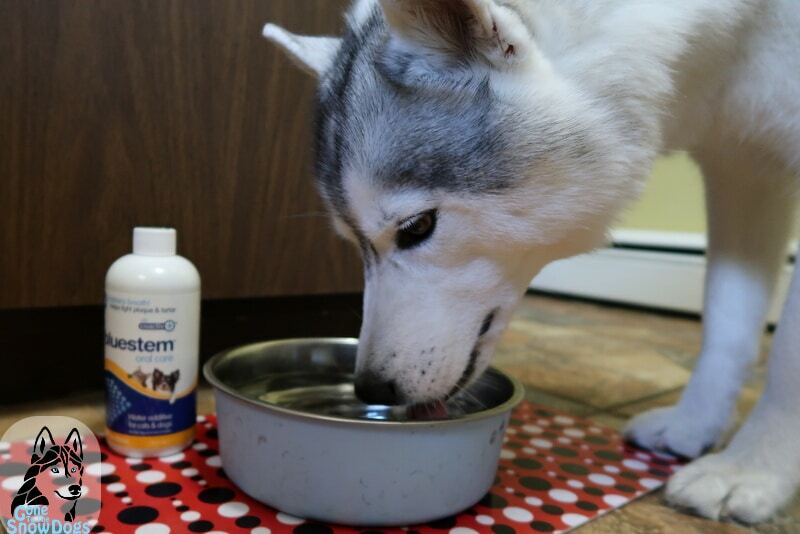 bluestem™ oral care also sent us a oral spray, but none of our dogs were very happy letting us use it. We tried to introduce them slowly, and gave treats for rewards, but they were not happy having something strange sprayed in their mouth. I don't think the spray is something we will be using. Some dogs love it, but my dogs, not so much! - Scientifically formulated and clinically proven to freshen breath and help fight plaque and tartar. - Xylitol-free, alcohol-free and chlorhexidine-free, bluestem™ oral care products are made with 100% food-grade ingredients suitable for daily use. - Approved by Health Canada’s Low Risk Veterinary Health Products (LRVHP) program. - All bluestem™ products are powered by coactiv+™ technology. coactiv+™ technology is a unique formulation scientifically formulated to breakdown biofilm where harmful bacteria multiply. - coactiv+™ technology removing the food source bacteria needed to form plaque and tartar. - 9 out of 10 dogs using bluestem™ oral care with coactiv+™ showed significant improvement in their oral hygiene. 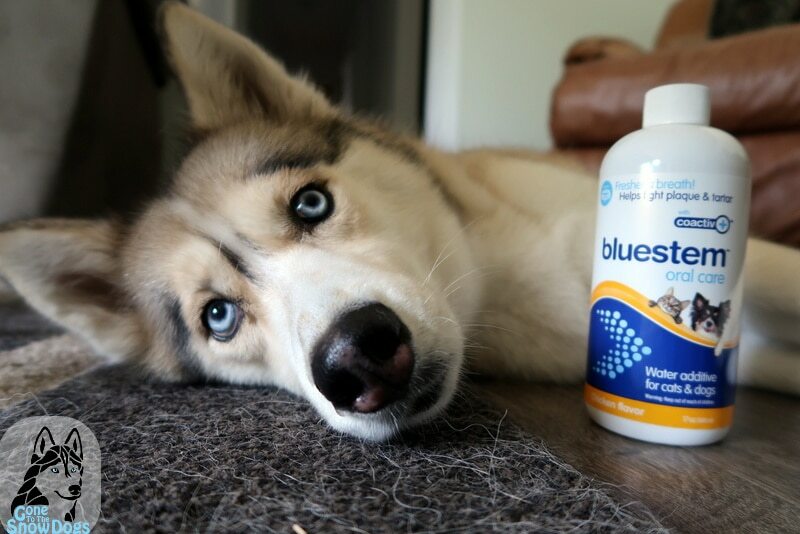 So if you are looking for another way to help fight plaque and tartar buildup on your dogs teeth, bluestem™ oral care is a great product to try! 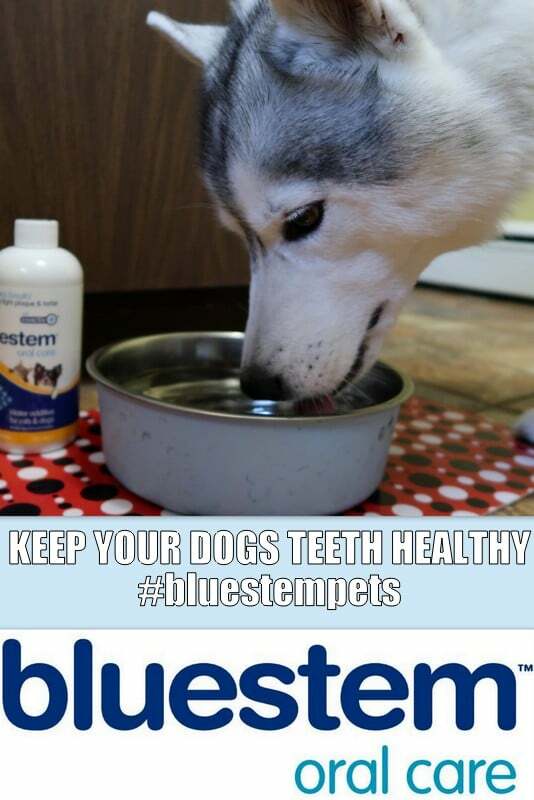 You can find it here: https://bluestempets.com/ Try bluestem™ oral care water additive or oral spray for 30 days to see the results for yourself. Hey Buddy!, I found this information for you: "KEEP YOUR DOGS TEETH HEALTHY | #bluestempets". 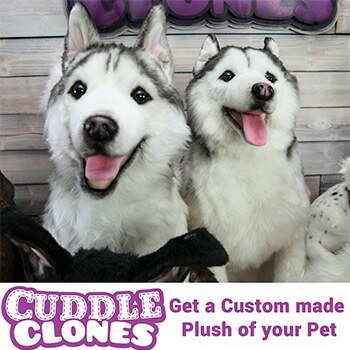 Here is the website link: http://www.gonetothesnowdogs.com/keep-dogs-teeth-healthy-bluestempets/. Thank you.